Ted is a very affectionate and energetic dog, he loves the company of people and likes nothing better than snuggling up on the sofa. He is quite playful so would be happy to share a home with another friendly dog but would equally be happy as an only dog and being the sole focus of a devoted owner’s attention, and as you can see from the photos he is very fond of his toys! 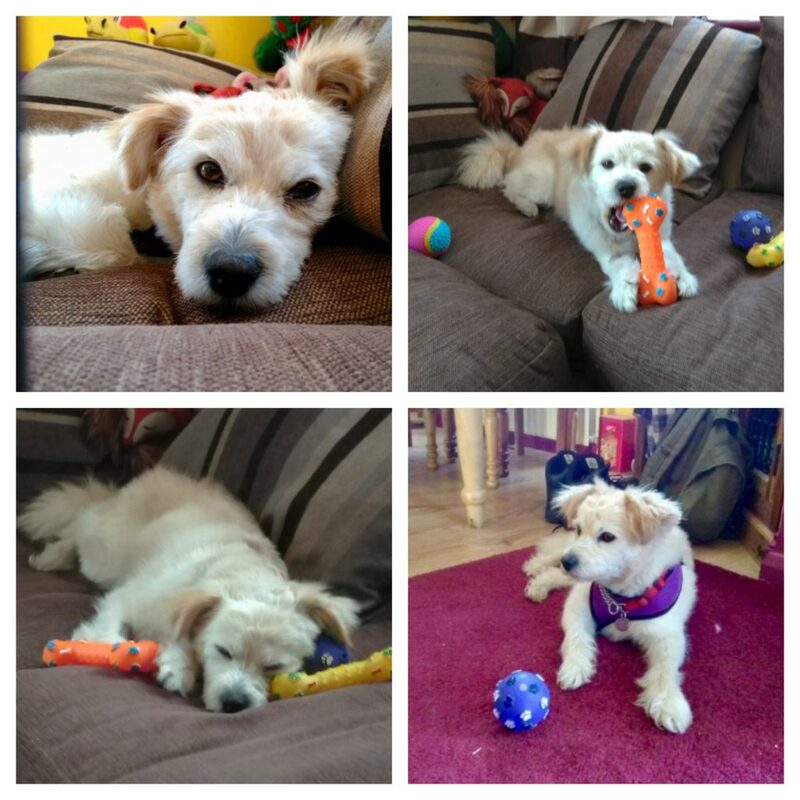 Ted adores his outdoor runs and has been used to being well exercised in his foster home. He is clean and well behaved in the home and is used to being around chickens, but he doesn’t like cats or children at all. 3 year old Ted is neutered, vaccinated, worm & flea treated and microchipped. Please note that that Ted does require very regular grooming, so make sure you take this into consideration before submitting an application. Please note that although Ted is a people friendly dog he is very unsure of children therefore we are looking for an adult only home for him.